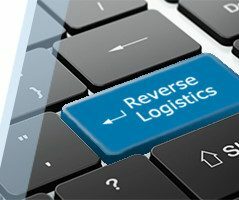 Reverse logistics moves goods from their natural final destination (clients, points of sales) backwards among the supply chain to either the initial producer or a new subject of the original chain. Reverse logistics activities are, using few words, finding and collecting outcomes, the transportation, reception and sorting of returns (as for example unsold items from a retail). What are the differences between forward logistics and reverse logistics? For a reverse logistics audit within your business, contact us.